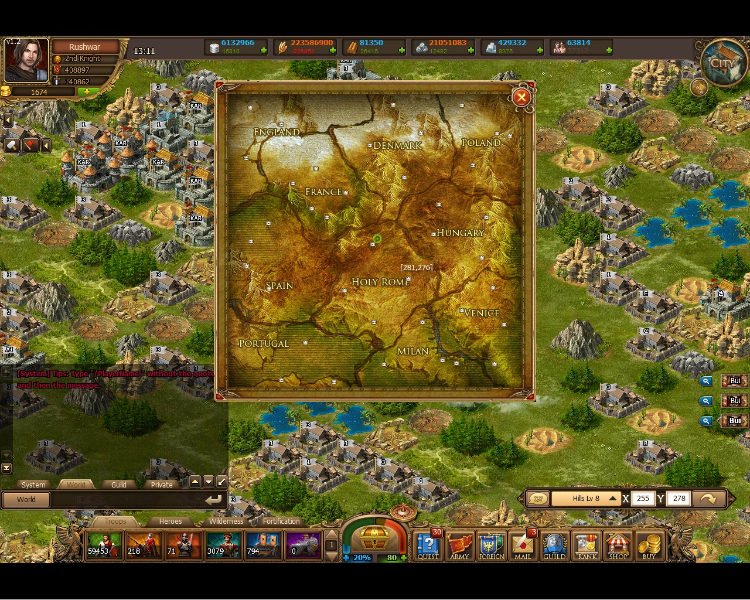 Rushwar is a web-based strategy game, with real time construction and military simulation. 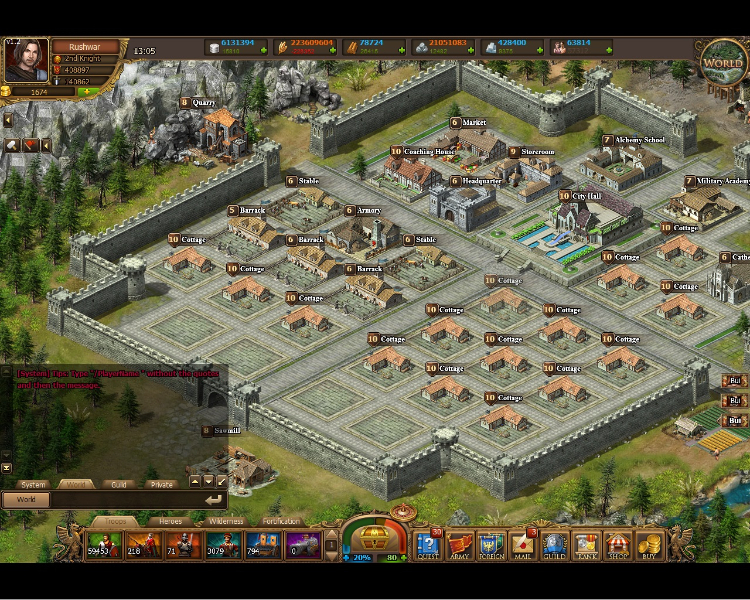 The game features various different buildings, heroes, and items to play with. Roman Setting: Rushwar is empire-building MMORTS based on and set in the ancient Roman Empire. Players start with a small town and must gradually build it up into a thriving city-state. Leagues: Players can form alliances and compete with one another in a larger world. Competition and cooperation both take place at the small and large scale, both economically and martially. Choose your allies well, as enemies will make themselves for you. Story, Daily and Barter Quests: Players can follow along the main storyline at their own pace, learning more about the game's features and higher strategies as they go. Daily quests offer experienced players options for progression and resource-hoarding. Barter quests give options outside of combat and military challenges, breaking up the routine. 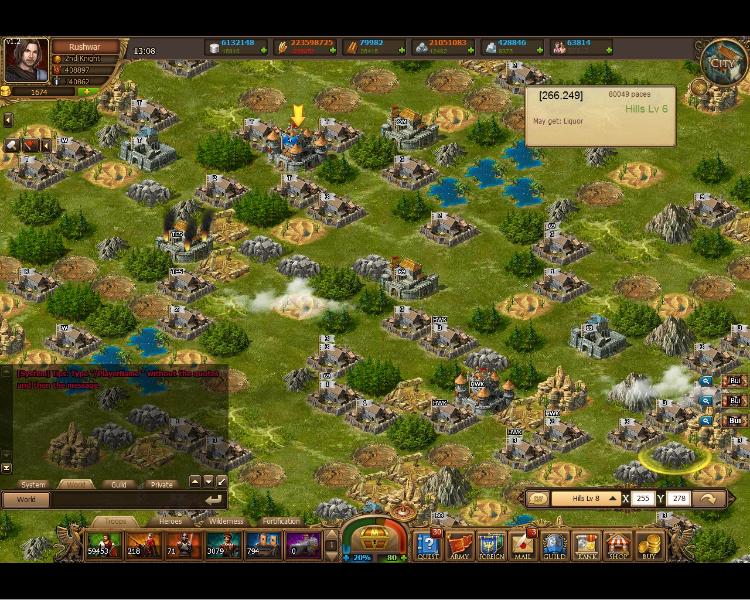 This video features gameplay footage from Rush War. It also shows off some cinematic content and music.